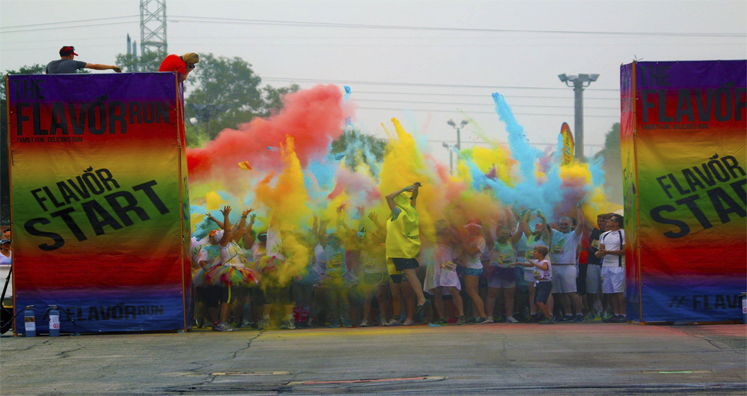 The Flavor Run is a family fun, un-timed 5K walk/run that includes a new fun twist on the popular color runs by engaging all of your senses; taste, smell, touch, hearing, and sight. Instead of traditional color stations, we have “Flavor Stations” where runners/walkers are covered in fruit flavored (FDA Approved Corn Starch) color powders! Plus, we have an awesome Post-Run Flavor Zone that includes everything from vendors, live entertainment, and children’s activities.